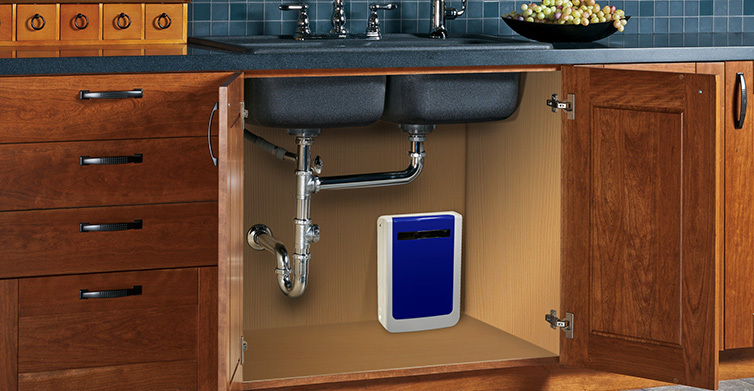 Engineered to meet the needs of commercial and high capacity residential environments; makes it the optimal choice for small restaurants, small offices, and residential applications. 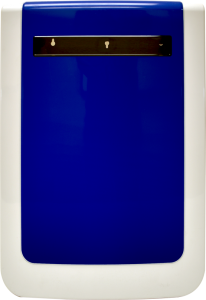 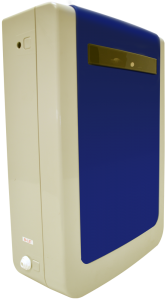 Producing purified water at up to 400 gallons per day, a pace that allows it to function as a tankless system without affecting functionality or convenience; the hi-flow 400 GPD membrane is fueled by a high outputmechanical pump, which is powered by the municipal water sources own water pressure, to avoid the need for any power sources or electrical wiring. 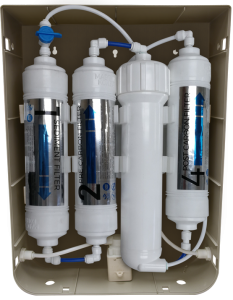 The H2O-210RO is also available in a more tradition 2 gallon tank version, which is paired with 100 GPD RO Membrane.